Android/iOS: The better your phone gets at taking pictures, the more storage space those photos eat up. 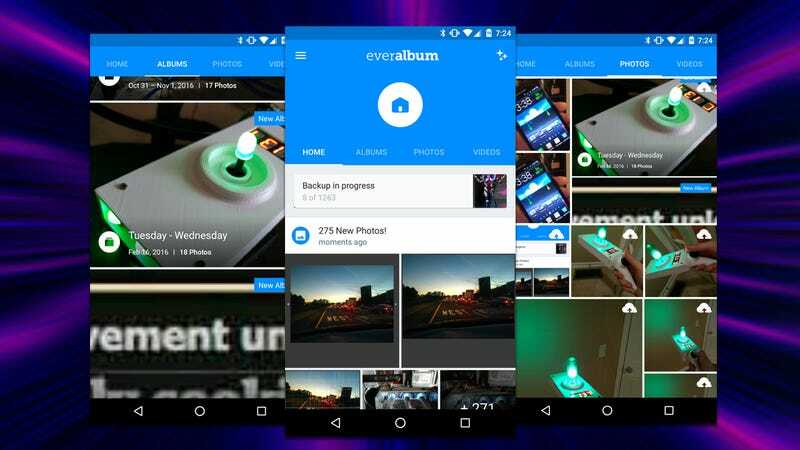 Everalbum solves this problem by offloading most of your photos to unlimited space in the cloud. The app offers completely free, unlimited backup space for compressed images. As you take pictures, they’ll be automatically backed up. You an also choose to have Everalbum clear up space on your phone as your photos are backed up. That’s a lot of trust for an app, but if you need storage space on your phone more than you need a local copy of every single picture you ever take, it might be worth it. If you want full-res backups, it will cost $9.99 per month, or $99 a year.